By request, here is an update on an earlier post through the April employment report. Important: There are many differences between these periods. Overall employment was smaller in the '80s, so a different comparison might be to look at the percentage change. Of course the participation rate was increasing in the '80s (younger population and women joining the labor force), and the participation rate is declining now. But these graphs give an overview of employment changes. 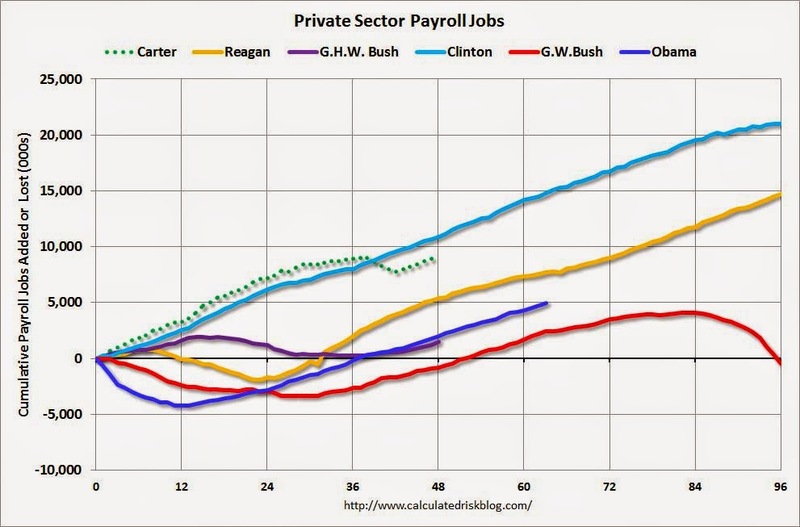 The first graph shows the change in private sector payroll jobs from when each president took office until the end of their term(s). President George H.W. Bush only served one term, and President Obama is just starting the second year of his second term. The employment recovery during Mr. G.W. 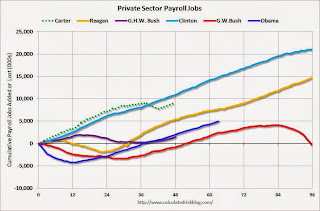 Bush's (red) first term was very sluggish, and private employment was down 841,000 jobs at the end of his first term. 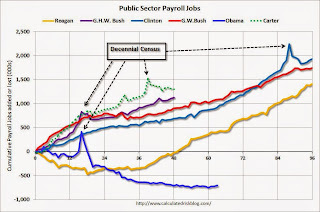 At the end of Mr. Bush's second term, private employment was collapsing, and there were net 462,000 private sector jobs lost during Mr. Bush's two terms. There were only 1,998,000 more private sector jobs at the end of Mr. Obama's first term. Fifteen months into Mr. Obama's second term, there are now 4,986,000 more private sector jobs than when he initially took office. 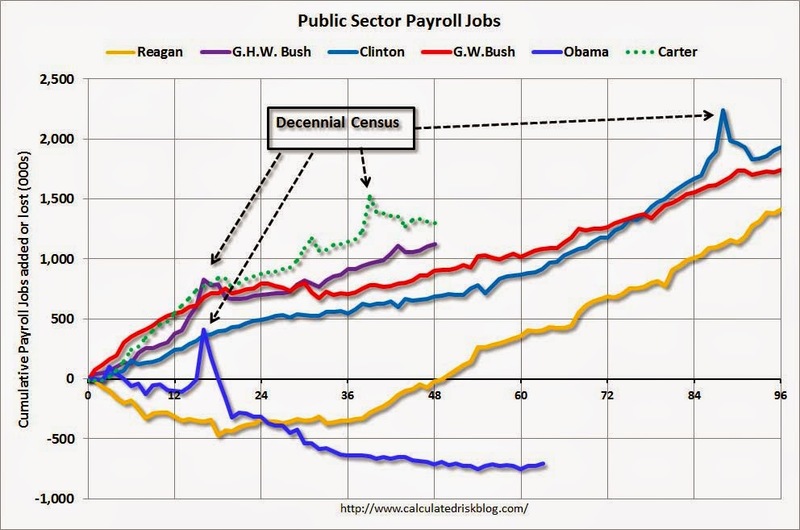 However the public sector has declined significantly since Mr. Obama took office (down 710,000 jobs). These job losses have mostly been at the state and local level, but more recently at the Federal level. This has been a significant drag on overall employment. 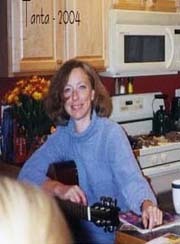 Looking forward, I expect the economy to continue to expand for the next few years, so I don't expect a sharp decline in private employment as happened at the end of Mr. Bush's 2nd term (In 2005 and 2006 I was warning of a coming recession due to the bursting of the housing bubble). A big question is when the public sector layoffs will end. It appears the cutbacks are mostly over at the state and local levels, but there are ongoing cutbacks at the Federal level. Right now I'm expecting some increase in public employment in 2014.